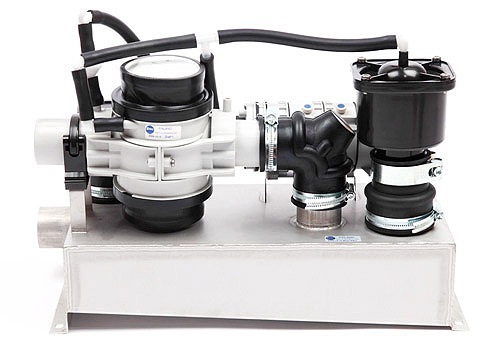 Vacuum interface units are used when gravity based appliances, such as wash basins, sinks and urinals, are connected to a vacuum sewage system. Vacuum interface valves are available in 2 and 5 litre versions. The tank of the 2 litre unit (down at the left) is made of polypropylene, and the tank of the 5 litre unit (down at the right) is made of corrosion resistant AISI 316. 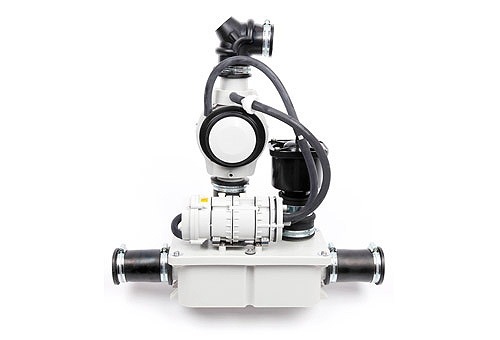 Both of the vacuum interface valves make use of the proven Evac pneumatic flush mechanism with flush memory and vacuum sensor technology. No electricity is needed.